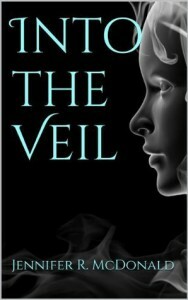 Into the Veil was a wonderful YA story with solid characters, vivid places and a great plot. Our heroine is Lyric, a teenager who happens to have a rare gift. She's able to walk through the veil, as is her brother Lincoln, they can wander through the world without being seen and learn things others can't. Besides veilwalkers there are mages and other types of magic users who inhabit the world. In the book, Lyric and her brother are introuble of being captured because of their rare gift and how useful it could be. This story is fast paced and quick to get to the point. There aren't any dwelling points, the author does a great job of connecting everything together. I'd definitely recommend to YA fans, this is a fresh idea with great world building and great characters. This story does contain lots of laughs and "hah" moments. I received this book in exchange for an honest review, courtesy of LoP.